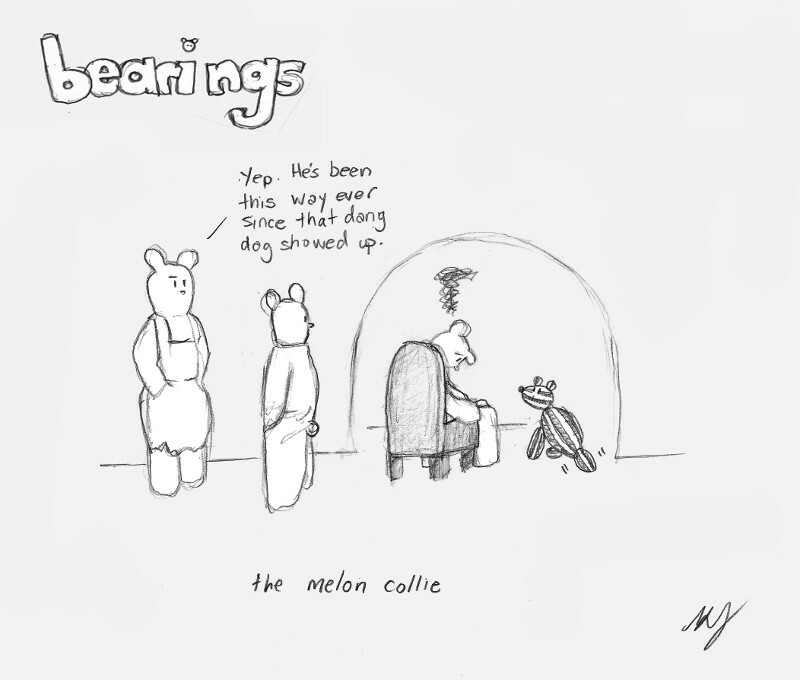 This entry was posted in Bearings Cartoons and tagged melancholy cartoon, melancholy joke, melon collie cartoon, simon and finn by simonandfinn. Bookmark the permalink. I see the tylenol is working pretty well for you. Very funny wordplay. Ha yes there is definitely a tylenol related theme going on. 🙂 Thanks John! Hey, melon collies are way cooler than deep press ions! Thanks for the giggle 🙂 Good day for it! But what day isn’t good for a Mel-giggle?! Maggie: Ok, I actually googled deep press ions… and took me a while to figure it out…I’m embarrassed to admit I read through a couple NASA blogs on ion propulsion in space before I figured it out, ha ha! To infinity and beyond!! — B.L.